If you find that your child is gifted in a particular subject or excels in certain areas of learning, there may be an opportunity for a reduction in their private school fees. Bursaries and scholarships are often offered to parents when finances have become a problem. Paying for private schooling is a substantial commitment and comes at a hefty cost, one that might potentially rise throughout each school year. In 2007, the average annual cost of sending a child to a private day school was £9,627, compared with just £6,820 in 2002. Think about what this will cost you over 16 years and take inflation into account and the result is a rather large bill indeed. This is why any financial reduction comes as a welcome relief for most parents, and why scholarships and bursaries are a good thing to consider for the right children. Often there will be entrance exams available to determine student places in the next school year. If your child shows talent or passion for a subject they may be called back to take another exam to prove their academic level further. This will in turn be the basis on whether or not they are chosen to qualify for a scholarship in a particular subject. This may be based on academic, artistic, sporting or musical merit and can be offered at a preparatory or senior school level. For example, if your child is an excellent piano player, they may be asked to prepare a piece to be presented in front of the music department, along with a written exam. 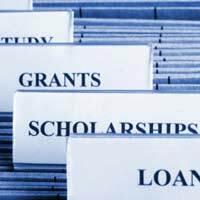 The exact methods one becomes eligible for a scholarship varies from school to school. The different school departments that offer scholarships and different areas of talent that might make a child a possible candidate also varies from school to school. Aspiring athletes make good contenders, and drama, design and technology students will have a chance too, so if your child is not exceptionally gifted in academic subjects, then there’s no need to worry as there are plenty of opportunities. If your child is chosen to win a scholarship, then as well as the obvious well-deserved sense of pride and achievement, their school fees can be lowered by as much as fifty percent as well. The actual amount varies, often depending on their level of achievement, as well as the school’s policies. Remember that entering your child into a scholarship examination can be a stressful thing for them to go through, so don’t let the pressure overwhelm them. If you require financial support for your child’s education fees that is not based on an examination, you may be entitled to receive a bursary. Individual schools will vary in bursary opportunities. Some schools may award bursaries to students based on the status or position of their parents. For example, students with parents in the armed forces are often given bursaries, and children whose parents are teachers in the school will often be given a discount too. Sometimes bursaries may even be offered to children of pupils who have formally studied there. Some parents may remember a time when grants were available to university students, instead of the outrageous overdrafts and loans we see today. If you work abroad and would like to still send your child to a school in England, sometimes there are opportunities for grants to ensure that they remain in a boarding school in the UK. Local authority grants may also be available for those whose local authority cannot provide suitable education. It’s important to remember not to let the cost of private schooling instantly deter you, as there are a range of options to make the financial burden a little lighter, particularly if your child is gifted. It’s always worth doing a little research into your options before deciding private school is not for you.